Dr. Thompson is inspired and driven by the belief that anything is possible if you work hard and think big. Based on these credentials and a ‘multi-task with a multi-purpose’ mentality, Dr. Thompson set out to seek her greatest passion: teaching. She has taught everything from Economics, Public Relations, and Leadership; all at college level. “I really love the classroom, teaching new concepts, and watching others learn,” Dr. Thompson says, who currently is a full-time Professor in the School of Business at Berkeley College in New York City. Her consulting practice focuses on creating the most efficient and effective brands, artists and companies that seek to develop vision, grow and increase their income. Her approach is to add humor, teaching, understanding and business strategies to the coaching in order to reach her clients in various ways. As the daughter of legendary soul singer Syl Johnson and older sister of Grammy-nominated R&B singer Syleena Johnson, it was natural for Dr. Thompson to incorporate her teaching and leadership skills into music. “I have a strong passion for music too,” says Thompson, who began managing Syleena Johnson’s career in 2005. Thompson gained a deep passion for R&B music watching her father and sister record, but became disturbed by the lack of respect for the genre and artists who contribute great music to the art form, including Syl and Syleena Johnson. Driven by passion and fueled with a go-getter attitude, this scholar decided to seek out the soul of a fading genre. Dr. Thompson wanted a resolution to the music she loves the most. Rhythm and Blues has been greatly overlooked in the mainstream and leaves Dr. Thompson asking, “How can R&B be living in an industry that does not support it, respect it or promote it?” This question is the foundation of her first book, “Rhythm Without Blues: The Dichotomy of a Music Genre”. This rhetoric rooted in R&B delves into the reality of the cutthroat industry and debunks the myth that talent is all you need to make it in the music business. “Talent is the last thing you need”, according to Dr. Thompson. Dr. Thompson goes beyond giving her opinion in her book and shows a broad perspective with interviews from industry insiders; singers, songwriters, executives and producers such as R. Kelly, Larry Khan, Toxic, Mickey “MeMpHitZ” Wright, Nicci Gilbert of Brownstone, Tank, Syleena Johnson, and more who all share the same passion for music. She sets out to expose the unchallenged rules of the R&B music industry and propose ways of bringing balance back to the genre. “I do believe there is a way to make money in this industry and act like a decent human being,” Dr. Thompson says. As a teacher, manager, president, and author Dr. Thompson shows no signs of slowing down. Dr. Thompson recently wrote for the Encyclopedia of African-American Music soon to be published under Greenwood Press. Her entry focused on black music in Chicago from 1942 through today and covered several genres of music. 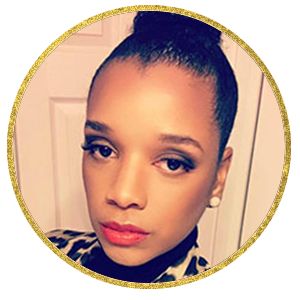 She even looks forward to publishing another booked titled “Resilience: The Art of Living.” Respectfully, Dr. Thompson has proven she can apply herself to any situation with precision. Currently, Dr. Thompson has embarked her efforts and energy on a new venture in music management and television. She is busy developing new brands and T.V projects for a various types of programming. She was featured on R&B Divas Atlanta on TV One and Fix My Life on OWN TV. Her goals are to continue to develop and strengthen her entertainment company through empowerment, education, entrepreneurship and enlightenment. In 2014, she launched an entrepreneur network called “The Visionaries” and it serves over 60 entrepreneurs in various industries. She coaches, mentors and trains them to succeed by the following motto: Vision, Plan, Execute, Rewards. Her latest client roster includes Syleena Johnson, Tee Marie Hanible (American Grit) and several other production companies. Her latest venture takes her into the television and film production arena with an emphasis on production, project management and distribution. Dr.Thompson is working on several film projects under DYG Management Group, LLC. The vision is to secure, obtain and produce quality films with an emphasis on music and entertainment. She recently produced Couples Therapy (BET Movie) with Syleena Johnson, Willie Taylor (Day 26), Dave Hollister and Leela James. On a personal note, Dr. Thompson has suffered the loss of her daughter in pregnancy. She was 7 months pregnant and discovered her daughters’ heartbeat had stopped. This was a complete devastation for her but has not stopped her drive, determination and career momentum. She continues to be an advocate for women who suffer from stillbirth and is working on developing a foundation in her daughters honor. And although Dr. Thompson has proven herself four times over, she still feels her work is unfinished. ”I’m inspired daily to leave a legacy that has meaning and purpose,” says Dr. Thompson. She is sure to leave a legacy of leadership and inspiration that will ignite passion in everyone she touches.